In 2011, the Centre opened a new 27,000 square foot operations building. This facility can accommodate up to 84 guests and features a full service cafeteria, 5 laboratories, 3 classrooms, audio-visual lounge, heated 360 degree aurora viewing dome, fitness room and outdoor viewing platform. We provide equipment rentals, and logistical support to researchers. 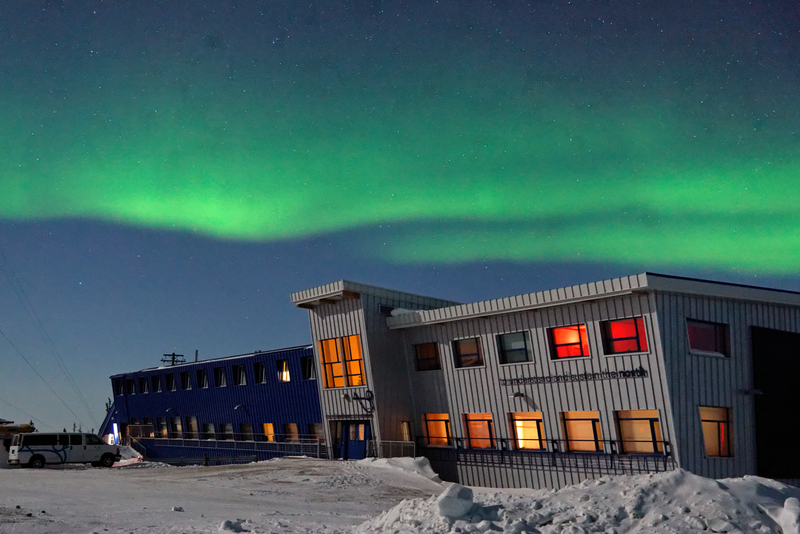 The CNSC is an easily accessible northern field research station, open year round, situated in the Hudson Bay Lowlands. Research includes auroral research, climate change, greenhouse gas emissions, inland water quality, marine ecosystems, northern ecology, peatland and treeline dynamics, snow pack dynamics, and wildlife management. Over the past 38 years researchers stationed at the Center made important contributions, such as Dr. Ian Stirling (world leading polar bear expert), Dr. Nick Lunn, Dr. Erica Nol and Dr. Robert Jefferies (world leading arctic scientist). The Centre also hosts educational programs for students and for the public. Dry and wet laboratory facilities available with climate control and power at lab benches. Churchill Wildlife Management permit held by CNSC. Permits required for invertebrates and above from Manitoba Conservation and Water Stewardship. Permits also required from federal agencies depending on regulations. Please contact CNSC Scientific Coordinator for assistance to obtain appropriate permits. It is recommended that researchers have a Possession Acquisition License (CDN) or a temporary borrowing permit (US) for firearms prior to working in this area. A limited number of firearms are available on site for use. 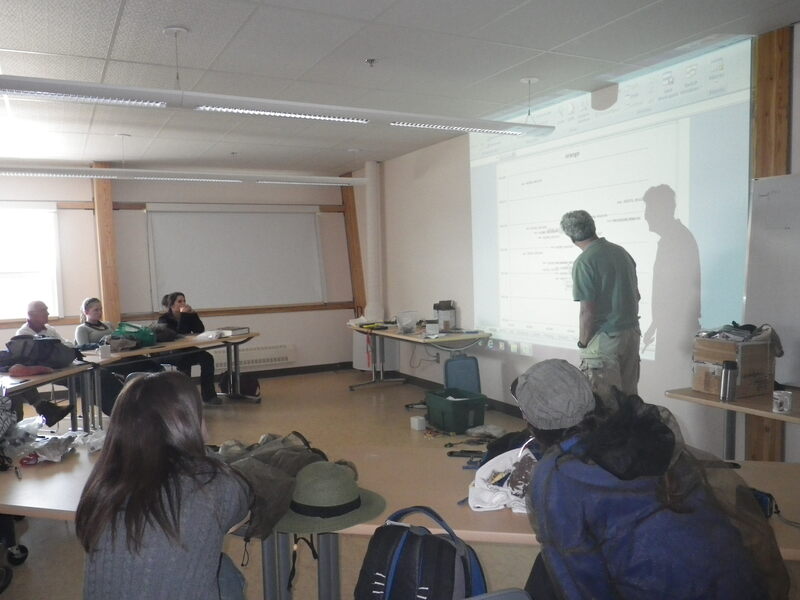 Polar bear safety training is provided to all researchers on site. Local bear monitors are also available. Cold conditions in winter require adequate clothing and care during field work. 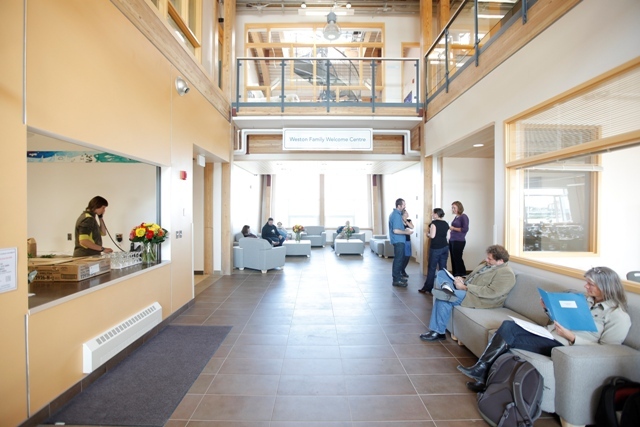 Established in 1976, the Churchill Northern Studies Centre (CNSC) is an independent, non-profit research and education facility located 23 km east of the town of Churchill, Manitoba. The CNSC is located in a transition zone where the northern extent of the boreal forest meets the southern edge of the arctic tundra; it is also near the Churchill River, where freshwater enters the marine ecosystem of Hudson Bay. This convergence of ecosystems provides an incredibly wide array of representative environments for study. As a community-based organization serving Canadian universities, government agencies and international organizations, the CNSC provides an ideal setting for students to participate in field-based research programs and learn from world-class scientists and educators.  The mission of the CNSC is “to understand and sustain the north.” With respect to research, the Centre facilitates the work of between 125 and 225 researchers annually. Institutionally, the CNSC has over 7,000 members, of which 1,400 are in good standing. The CNSC operates year-round with 6 full-time staff and 4-8 part-time and seasonal employees.